Cool Touch Exterior, No Scalding. Saves Energy and Safe to Use. 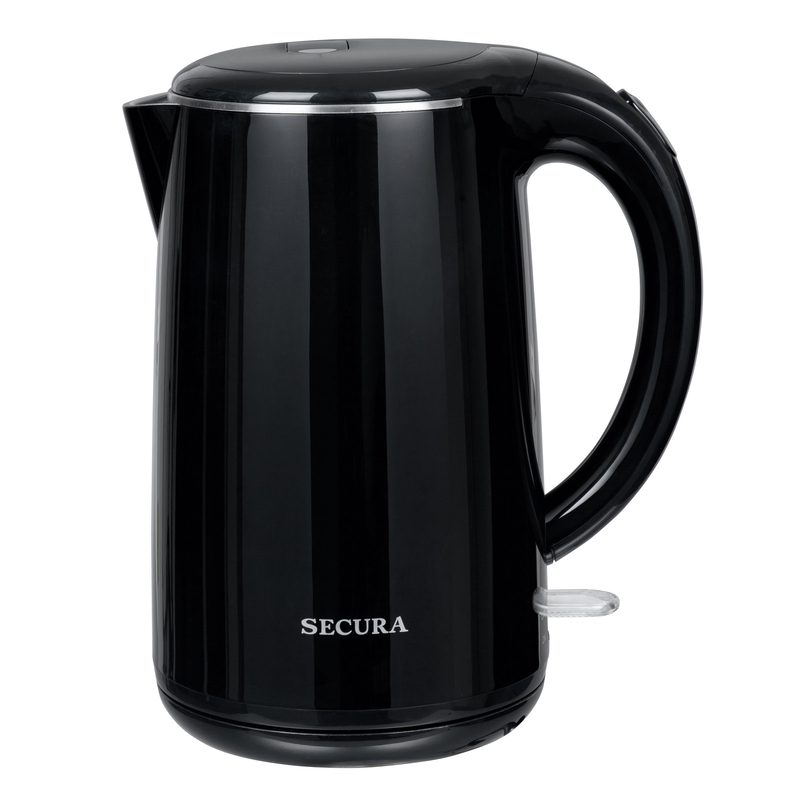 1.7 Liter/ 1.8 Quart Capacity; ideal as an Electric Tea Kettle, Double-Wall Construction Boils Water Quicker and Keeps Warm Longer. 2-Year Warranty. 120V 60Hz, 1500W Heating Power. ETL Approved Product.